PHPI went on the road to Doncaster to find out how Pegler’s training facilities are supporting installers, and we even took part in a little training of our own! Situated amongst a sea of terraced houses in Doncaster sits Pegler’s 21-acre HQ, where the company continues to manufacture its own brass – used for a variety of its fittings, TRVs and valves. While the facilities themselves are something to behold, with a mix of industrial-style presses and new-age robotics at work, installers will be pleased to hear that the company has recently expanded its training facilities to offer a greater interactive experience. In particular, a specialised valve room offers more hands-on training for individuals and companies to facilitate greater understanding and more experience in balancing and commissioning valves. 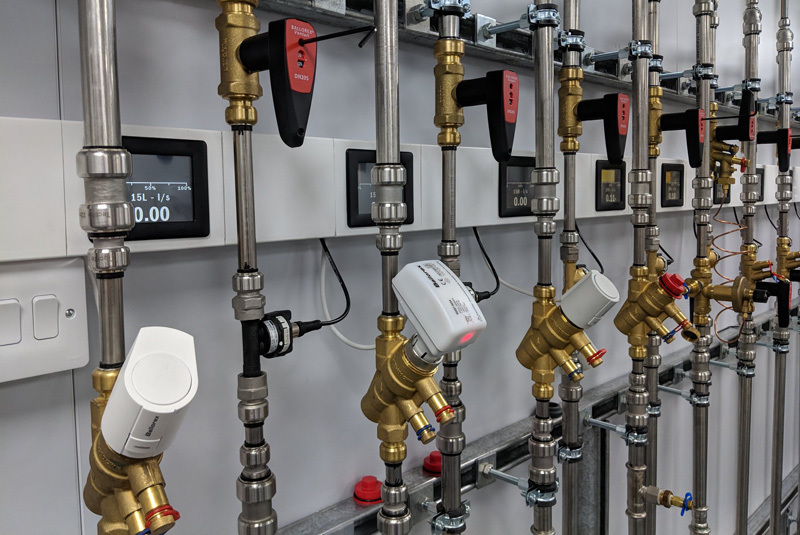 The aptly named ‘valves wall’ houses a Grundfoss Magna 3 pump, while the training provided by Glenn covers differential pressures and how to deal with them, what effects control valves have on velocity noise and flow rates, and how to lock valves and change flow. Glenn continued: “Visitors can see just what happens to flow rates and pressures thanks to the visual display units which monitor each valve, and they can get hands on and change pressures according to requirements and see how a ¼ inch turn can effect pressures. They can also hear velocity noise and alter valves accordingly. While PHPI decided it best to leave the technical intricacies to installers, we did get the chance to try our hand at the differences between soldering, press-fit and push-fit pipe connections. 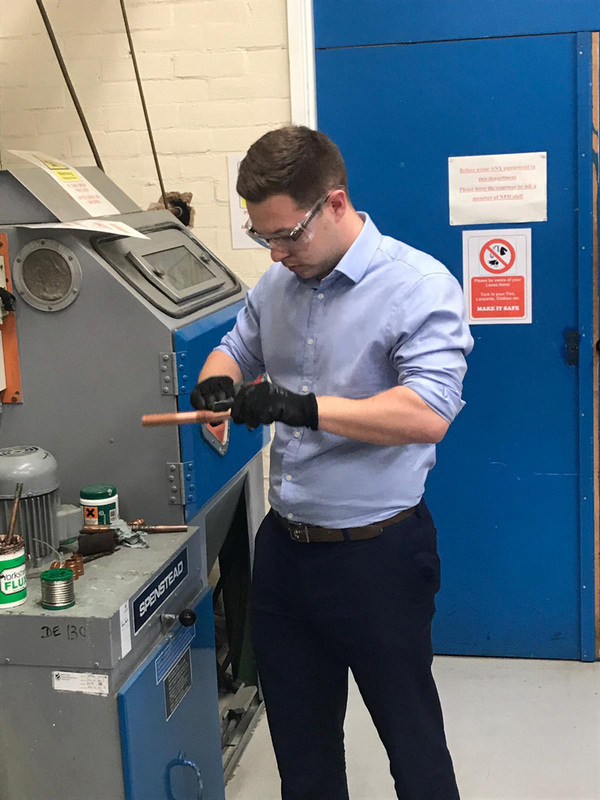 Upon (mildly) successful completion, it’s safe to say that the training team at Pegler have plenty of knowledge, and remain extremely patient with participants! Pegler also hosts a portfolio of Continuous Personal Development (CPD) modules on its website, which are suitable for industry professionals across a variety of sectors. Pegler’s range of CPD modules and site seminars include; the Importance of Anti-Microbial taps in infection control for health care sectors, Safety and Efficiency of Water Systems in line with Part G of Building Regulations and the Code for Sustainable Homes. The most recent to be included within the portfolio is the ‘Benefits of Heat Free Jointing’ – which addresses key issues now found on many projects where heat is not permissible. Other online training modules developed by Pegler and, which can also be accessed via ‘My PY’ on the company’s website, cover topics such as; Central Heating, Taps & Mixers, Metal Push-fit and Commissioning. PHPI’s James Moore gets hands on!